Scrolling through the television channels a few weeks ago, my attention was grabbed by a trailer for a new film called Gosnell. The advertisement alleged that it was the “true story of the world’s biggest serial killer.” But this prolific murderer was strangely unfamiliar to me. The twist in this story I discovered, unlike a film documentary on someone like the notorious Ted Bundy, is that that Dr. Kermit Gosnell was an abortionist who killed living babies after they survived initial abortion procedures—many older than 24 weeks. The proverbial plot thickens. The movie advertisement piqued my interest enough to see Gosnell, a film based on the NYT Best Seller Gosnell – The Untold Story of America's Most Prolific Serial Killer—by the husband and wife team of Ann McElhinney and Phelim McAleer, who also produced the movie. It chronicles the investigation and subsequent trial of Dr. Gosnell, whose clinic was raided by DEA, FBI, and other law enforcement agents, like detective James “Woody” Wood, played by Dean Cain, for suspicion of illegally selling prescription drugs. It was during this raid that officials soberly discovered things far more sinister than ever anticipated. The film reenacts these events culminating with the arrest, trial, and conviction of Dr. Gosnell—utilizing court documents and evidence exhibits to tell this compelling story—a story that political operatives and media outlets refused to tell and tried to bury. The grand jury report in the case of Kermit Gosnell, 72, is among the most horrifying I've read. "This case is about a doctor who killed babies and endangered women. What we mean is that he regularly and illegally delivered live, viable babies in the third trimester of pregnancy - and then murdered these newborns by severing their spinal cords with scissors," it states. "The medical practice by which he carried out this business was a filthy fraud in which he overdosed his patients with dangerous drugs, spread venereal disease among them with infected instruments, perforated their wombs and bowels - and, on at least two occasions, caused their deaths." Charged with seven counts of first-degree murder, Gosnell is now standing trial in a Philadelphia courtroom. An NBC affiliate's coverage includes testimony as grisly as you'd expect. "An unlicensed medical school graduate delivered graphic testimony about the chaos at a Philadelphia clinic where he helped perform late-term abortions," the channel reports. "Stephen Massof described how he snipped the spinal cords of babies, calling it, 'literally a beheading. It is separating the brain from the body.' He testified that at times, when women were given medicine to speed up their deliveries, 'it would rain fetuses. Fetuses and blood all over the place.'" One former employee described hearing a baby screaming after it was delivered during an abortion procedure. "I can't describe it. It sounded like a little alien," she testified. Said the Philadelphia Inquirer in its coverage, "Prosecutors have cited the dozens of jars of severed baby feet as an example of Gosnell's idiosyncratic and illegal practice of providing abortions for cash to poor women pregnant longer than the 24-week cutoff for legal abortions in Pennsylvania..."
Public health officials inspected the surgery rooms. "Instruments were not sterile," the grand jury states. "Equipment was rusty and outdated. Oxygen equipment was covered with dust, and had not been inspected. The same corroded suction tubing used for abortions was the only tubing available for oral airways if assistance for breathing was needed. There was no functioning resuscitation or even monitoring equipment, except for a single blood pressure cuff." Upon further inspection, "the search team discovered fetal remains haphazardly stored throughout the clinic - in bags, milk jugs, orange juice cartons, and even in cat-food containers..."
And there is more, so much more flagrant depravity that finally came to light in this landmark case. 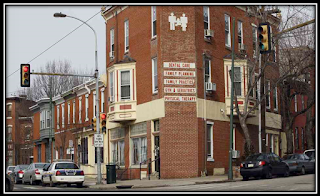 Readers interested in these disturbing details can read Charlie Spiering’s article, “58 horrific details from the Kermit Gosnell trial that you do not want to read,” from The Washington Examiner HERE. …Among the relatively few cases that could be specifically documented, one was Baby Boy A. His 17-year-old mother was almost 30 weeks pregnant -- seven and a half months -- when labor was induced. An employee estimated his birth weight as approaching six pounds. He was breathing and moving when Gosnell severed his spine and put the body in a plastic shoebox for disposal. The doctor joked that this baby was so big he could "walk me to the bus stop." Another, Baby Boy B, whose body was found at the clinic frozen in a one-gallon spring-water bottle, was at least 28 weeks of gestational age when he was killed. Baby C was moving and breathing for 20 minutes before an assistant came in and cut the spinal cord, just the way she had seen Gosnell do it so many times. And these were not even the worst cases…. 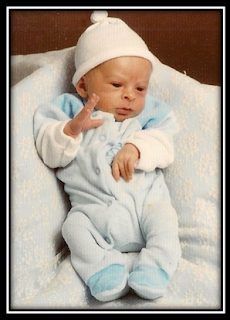 It was a chance photo of Baby Boy A, taken by a clinic worker who succumbed to compassion, that would be Gosnell’s undoing. It became the most powerful piece of evidence in Gosnell’s trial that gave the jury, and the world, a snapshot of the true evil behind the prolific abortion doctor and baby killer. The producers of Gosnell are to be commended for their dignified handling of these horrible details. They did not resort to a gratuitous display of graphic imagery, which most Hollywood productions would surely have done. They never showed the photo of Baby Boy A, or even an imitation of it, but made it available to moviegoers who wanted to view it on the Gosnell website. I went to the movie’s website when I got home and reluctantly clicked on the photo link. Yes, it was horrifying, but not because of a gory, unrecognizable blob exploited for all to see. This was the unfortunate first and last portrait of a beautiful, perfectly formed little boy, who lost his life simply because he was unwanted and because someone was willing to accept cash in order to end his life. His death was facilitated by greed, immorality, and a wanton disregard for human life. This precious child was abused, murdered, and discarded—but not forgotten. I sat in silence for several minutes as I looked at his image recalling that my youngest son, born premature, was much smaller and frailer than this child had been. It is inconceivable that any human being, much less a doctor, could shamelessly “snip” his precious life away so callously, so coldly, so completely. Instead of a grave to mark his passing, the only evidence to show that Baby Boy A even existed was that crude photograph taken by a clinic employee—that had become a court exhibit. He was unceremoniously laid to rest in a plastic shoebox. Babies B, C, and beyond, undoubtedly left this world in a red medical waste disposable bag. But God knows their names. One of the most sobering scenes in the movie was the testimony given by a female abortionist, Dr. North, played by actress Janine Turner, concerning legal abortions. 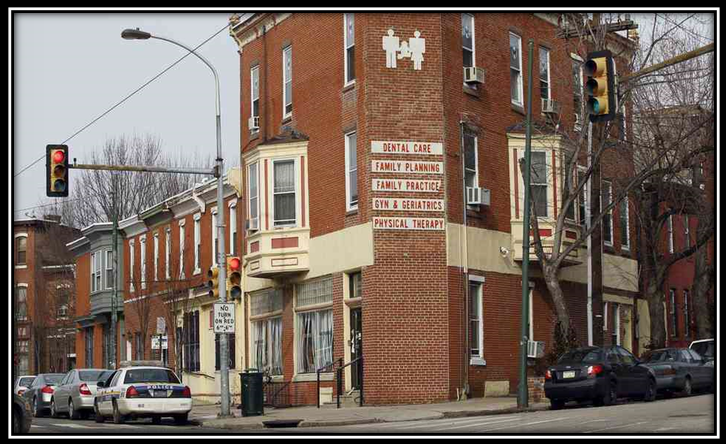 She was called to contrast the actions of her clinic with that of Dr. Gosnell. The defense attorney, Mike Cohan, played by Nick Searcy (who also directed the film), showed her photographs of fetus sonograms and asked her to defend the legality of her practice, ironically suggesting that no difference existed. 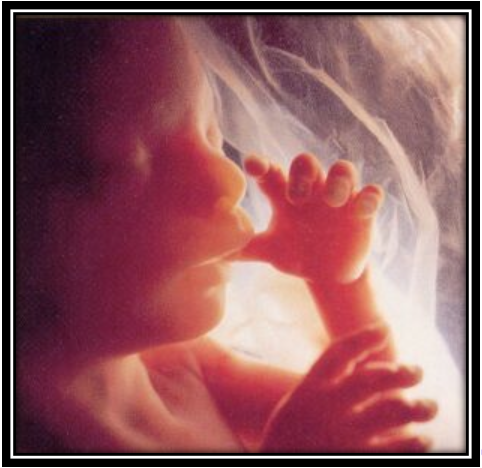 At one point, he held up a syringe with a long needle, using it to demonstrate on an enlarged photo of a sonogram. The witness emphatically denounced Gosnell’s method of ending the life of babies born alive by stating that her clinic never had a live birth because they habitually confirmed death before delivery. She testified that her skilled practitioners routinely filled such a syringe with a lethal chemical that was injected into the heart of each fetus, in utero, thus insuring instant death. I wondered how she was able to morally separate the difference between chemically stopping the heart of such a little life, while housed within its mother, and that of cutting the spinal cord of the infant once it exited the birth canal. Had Baby Boy A been given this lethal injection before 24 weeks, his death would have been legal, and Dr. Gosnell would never have been prosecuted for his death. Without blinking, the lady abortionist proudly defended her practice that had performed 30,000 such injection procedures, snuffing out the lives of tens of thousands of innocents. A sickening feeling came over me as I combined the total deaths of these unborn babies in my head, with that of the serial “snipping” victims of Dr. Gosnell. 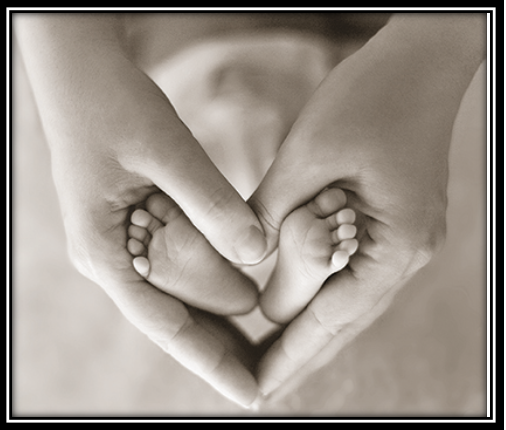 Then I thought of the countless souls lost at abortion clinics around the nation…and the world. My husband and I sat in a bare theater in Indianapolis with only four other people watching this powerfully, yet sensitively crafted film. As the credits were rolling, we all sat still. I could hear the lady sitting to the left of me sobbing. As I stood up, I said aloud, “It’s a shame that more people aren’t in here watching this movie.” Sadly, I discovered later that many theaters have even refused to show this film. Facebook and NPR have blocked advertisements for the movie. Yet, accusations of babies having their heads severed -- a major human rights story if there ever was one -- doesn't make the cut." Inducing live births and subsequently severing the heads of the babies is indeed a horrific story that merits significant attention. Strange as it seems to say it, however, that understates the case. For this isn't solely a story about babies having their heads severed, though it is that. It is also a story about a place where, according to the grand jury, women were sent to give birth into toilets; where a doctor casually spread gonorrhea and chlamydia to unsuspecting women through the reuse of cheap, disposable instruments; an office where a 15-year-old administered anesthesia; an office where former workers admit to playing games while giving patients powerful narcotics; an office where white women were attended to by a doctor and black women were pawned off on clueless, untrained staffers. No, abortion advocates—and they are many—don’t want this story told. 1. Image: 9 week old baby in the womb; Collection by Cleveland Right to Life; https://www.pinterest.com/clevelandrtl/developement-of-babies-in-the-womb/. 2. See the Gosnell movie website: http://www.gosnellmovie.com/about/. 3. See IMDb website: https://www.imdb.com/title/tt3722234/fullcredits. 4. Image taken from the Gosnell movie website; http://www.gosnellmovie.com/. 5. “Media Ignores Movie On Abortionist Gosnell, America’s Biggest Serial Killer,” Daniel John Sobieski, Flopping Aces, Oct. 19, 2018; http://www.floppingaces.net/2018/10/19/media-ignores-movie-on-abortionist-gosnell-americas-biggest-serial-killer/. 6. Conor Friedersdorf, “Why Dr. Kermit Gosnell's Trial Should Be a Front-Page Story,” The Atlantic, April 12, 2013; https://www.theatlantic.com/national/archive/2013/04/why-dr-kermit-gosnells-trial-should-be-a-front-page-story/274944/. 8. Photo taken from the Washington Examiner website: “58 horrific details from the Kermit Gosnell trial that you do not want to read,” Charlie Spiering, The Washington Examiner, April 18, 2013; https://www.washingtonexaminer.com/58-horrific-details-from-the-kermit-gosnell-trial-that-you-do-not-want-to-read. 9. Ibid, Friedersdorf. To view the photo of Baby Boy A, scroll to the bottom of the movie’s Resources webpage; http://www.gosnellmovie.com/press/. 10. “Suppression: Theaters Drop 'Gosnell' Movie Despite It Being a Top-Grossing Film,” Beth Baumann, Townhall.com, Oct 20, 2018; https://townhall.com/tipsheet/bethbaumann/2018/10/20/suppression-theaters-drop-gosnell-movie-despite-it-being-a-top-grossing-film-n2530400; “EXCLUSIVE: 253 Theaters Drop 'Gosnell' Amid Media Blackout to Defend 'Sacrament' of Abortion,” Tyler O'Neil, PJMedia.com, October 23, 2018; https://pjmedia.com/trending/exclusive-253-theaters-drop-gosnell-amid-media-blackout-to-defend-sacrament-of-abortion/. 11. “'Gosnell' Is the Movie Hollywood Does Not Want You to See,” Jerry Newcombe, Newsmax, October 24, 2018; https://www.newsmax.com/jerrynewcombe/gosnell-movie-hollywood-prolife/2018/10/24/id/887793/. 13. Image taken from UCLA Health website: https://www.uclahealth.org/mattel/newborn-screening-program.